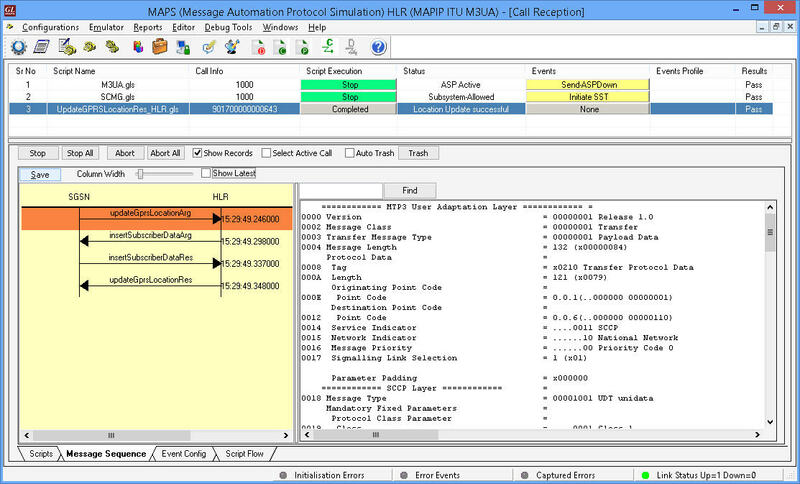 MAPS™ MAP over IP Protocol Emulator Software Ver 8.3.9 (64-bit Only) | Download Now! Mobile Application Part (MAP) is an application layer protocol used by various elements in GSM, UMTS, and GPRS mobile core networks to provide services to mobile phone users. MAP can be transported using 'traditional' SS7 protocols in TDM (T1 and E1) or over IP using SIGTRAN. SIGTRAN is a stack of networking protocols having Stream Control Transport Protocol (SCTP) for stream management over IP, and a bunch of user adaptation (UA) layers over it. 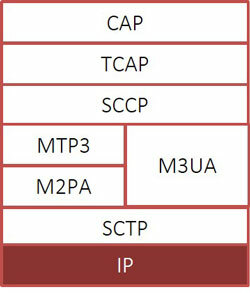 Supported adaptation layers are M2PA (MTP2 Peer-to-Peer), M3UA (MTP 3 User), and M2UA (MTP2 User). As illustrated in the diagram above, some of the GSM/UMTS circuit switched interfaces such as C (between HLR & MSC), D (between HLR and VLR), E (between GMSC and MSC), F (between MSC and EIR), H (between HLR and AuC) and Packet-switched interfaces such as Gc (between GGSN and HLR), Gr (between SGSN and HLR), Gf (SGSN and EIR), Gd (between SGSN & SMS-GMSC) use Mobile Application Part (MAP) protocol. MAP over IP network also includes LCS (LoCation Services) specific elements and entities, their functionalities, interfaces, as well as communication messages, necessary to implement the positioning functionality in a cellular network. 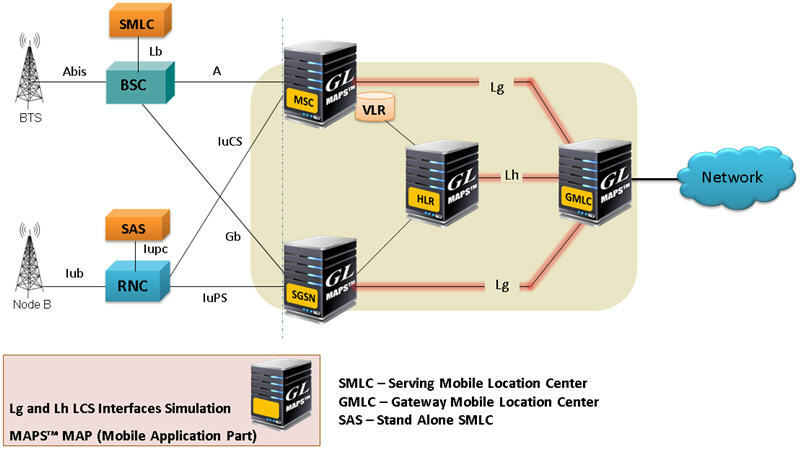 LoCation Services (LCS) architecture follows a client/server model with the gateway mobile location centre (GMLC) acting as the server providing information to External LCS Clients. The "radio" and "core" network partition is shown above for GSM and UMTS networks. Elements and interfaces that comprise the core network are briefly described below. Common services provided by MAP are “Location Services”, "Location Tracking", "Roaming", "Subscription Information", "Short Message Service", and many more. Generally an internal interface within the MSC. Used whenever the MSC needs access to data regarding a MS located in its area. HLR requests for authentication and ciphering data from the AuC for a Mobile Subscriber. Used by the EIR to verify the status of the IMEI retrieved from the Mobile Station. Used to transfer SMS over GPRS. 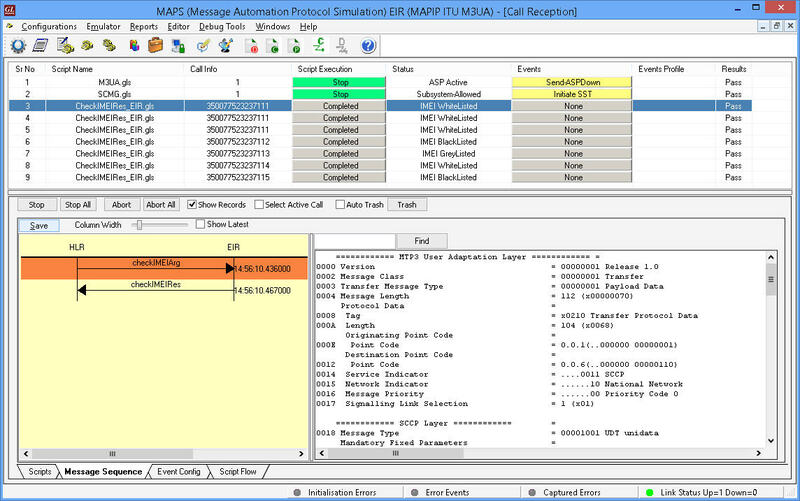 GL's MAPS™ (Message Automation & Protocol Simulation) product line bearing the same acronym, is used to emulate all the MAP interfaces listed above – both TDM and IP. 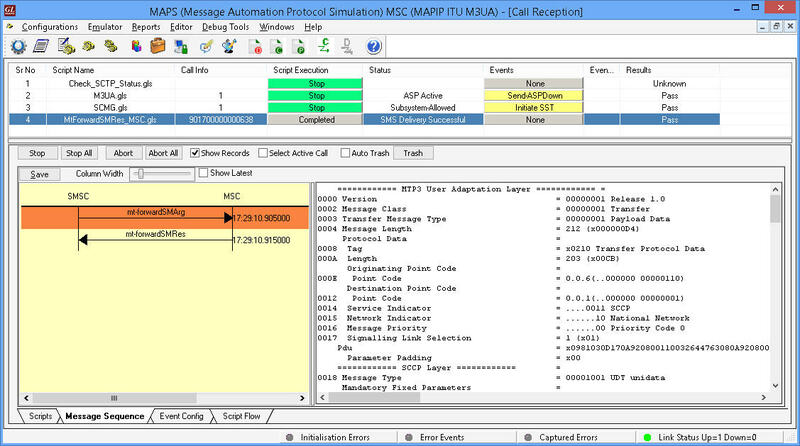 MAPS™ is an advanced and versatile protocol simulator/tester that can simulate a variety of protocols encountered in the telecom space, including SIP, MGCP, UMTS, GSM, MLPPP, MEGACO, ISDN, CAS, SS7, and many more. 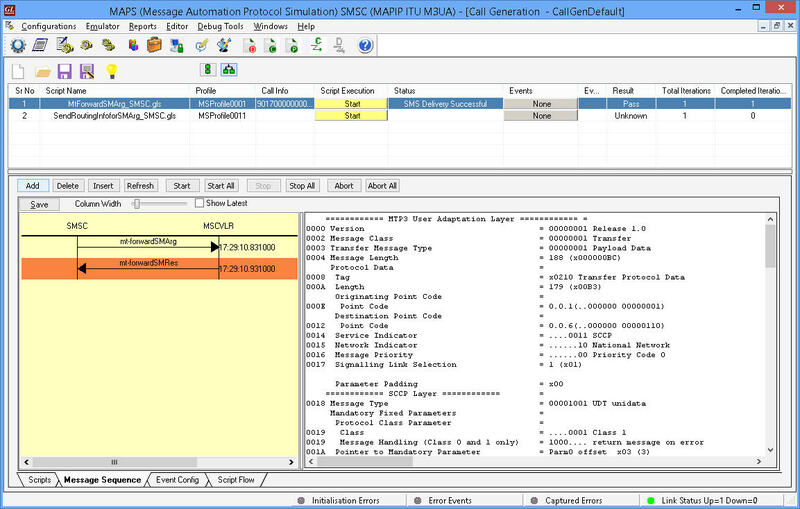 MAPS™ MAP supports emulation of all the GSM and UMTS MAP interfaces. MAPS™ MAP currently supports various procedures emulating MSC (VLR), HLR, EIR, and SMSC entities and H, C, D, E, F interfaces in the network. Supported procedures include Location Update, Retrieve Roaming Number, Remote User Status, Check IMEI Service, and others. The product also supports send/receive SMS (Short Message Service) simultaneously using signaling channel with the voice/data/fax service over GSM network. MAPS™ MAP is enhanced to simulate LoCation Services (LCS) over Lg and Lh interfaces connecting GMLC <-> MSC and GMLC <-> HLR entities. Supported LCS procedures includes Provide Subscriber Location, Subscriber Location Report, and Routing Info for LCS respectively, as per 3GPP TS 23.271 specifications. In addition to supporting MAP network elements connected by the interfaces listed, it also supports error tracking, regression testing, conformance testing, load testing, and call generation. 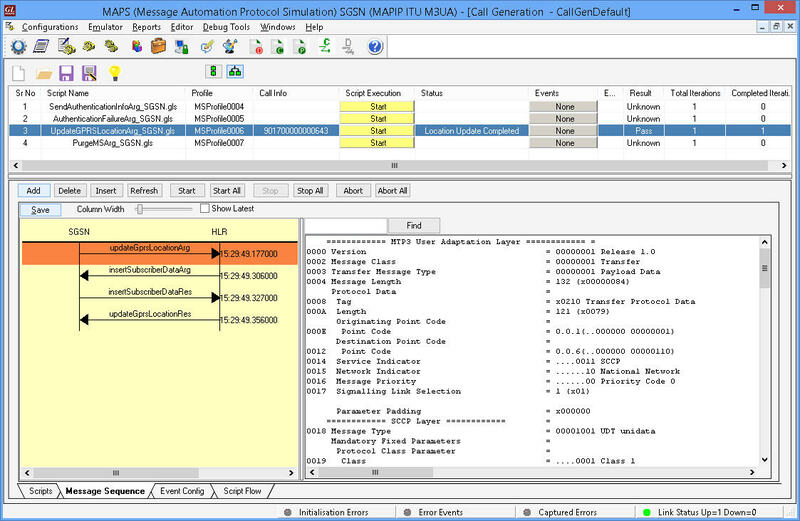 It can run pre-defined test scenarios against test objects in a controlled & deterministic manner. 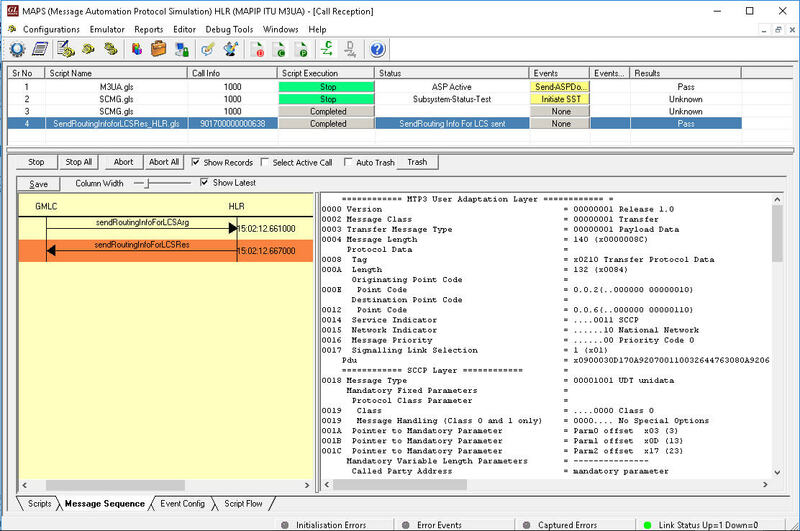 MAPS™ MAP Emulator supports powerful utilities like Message Editor, Script Editor, and Profile Editor which allow new scenarios to be created or existing scenarios to be modified using MTP3 layer (over TDM) and M3UA, M2PA layers (over IP) messages and parameters. GL also provides various set of protocol analyzers for on-line capture and decode of the signaling in real-time both during tests and as a stand-alone tracer for live systems. Please visit Protocol Analysis page for more details. Real-time applications of location-based services such as up-to-date information for vehicle tracking, stolen assets tracking, temperature, traffic services, emergency services, etc. MAPS™ is configured as MSC/VLR which initiates the LocationUpdate procedure by sending the updateLocationArg message to HLR. MAP_UPDATE_LOCATION service is used by the VLR to update the location information stored in the HLR. This is performed using the UpdateLocationArg_MSCVLR.gls script. MAPS™ can also be configured as HLR which receives the request message from MSC and simulates complete LocationUpdate procedure. 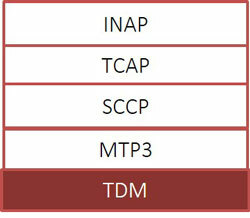 MAPS™ is configured as SMSC which initiates the Mobile Terminating SM procedure by sending the mtforwardSMArg message to MSC. This service is used to forward mobile terminated short messages between SMSC<--->MSC. This is performed using the MtForwardSMArg_SMSC.gls script. This Script Initiates Mt Forward SMS Message and waits for Mt forward SMS Response. MAPS™ can also be configured as MSC which receives the request message from SMSC and simulates complete Mobile Terminating SM procedure. 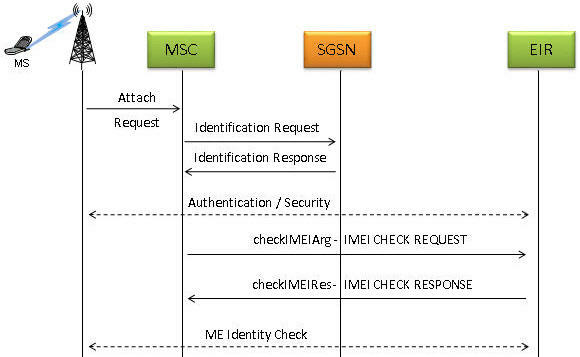 MAPS™ is configured as MSC which initiates the MAP_CHECK_IMEI service by sending the checkIMEIArg message to EIR. This service is used between MSC and the EIR to get the IMEI status of the Subscriber. If the IMEI is not available in the MSC or in the SGSN, it is requested from the MS and transferred to the EIR in the service request. 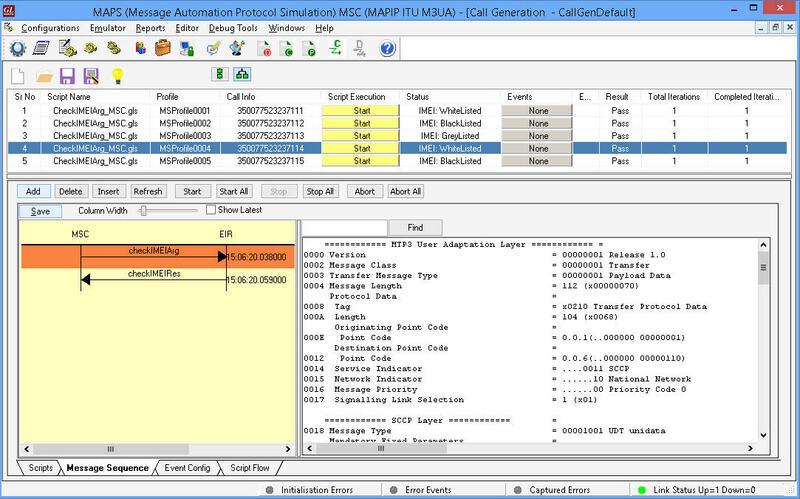 MAPS™ can also be configured as EIR which receives the request message from MSC and simulates complete MAP_CHECK_IMEI procedure. MAPS™ is configured as SGSN which initiates the MAP-UPDATE-GPRS-LOCATION service by sending the updateGprslocationArg message to HLR. 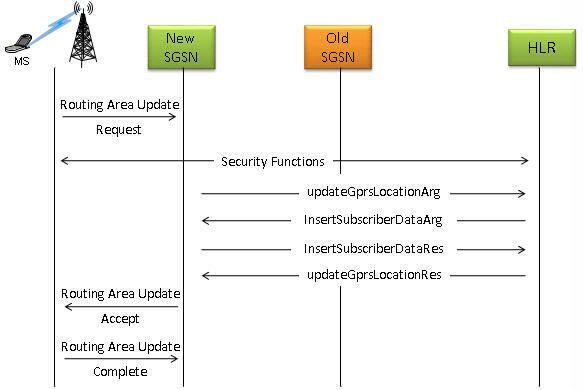 MAPS™ can also be configured as HLR which receives the request message from SGSN and simulates complete MAP-UPDATE-GPRS-LOCATION procedure. 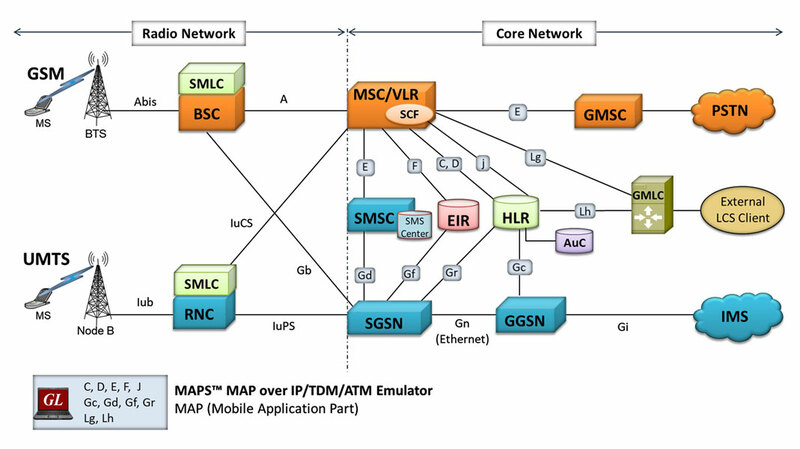 MAPS™ MAP supports both server and client simulation for the Mobile Application Part (MAP) Lg, and Lh interfaces. MAPS™ can be configured as GMLC testing SGSN/MSC in UMTS network and vice-versa. Location based services, such as Emergency Services, rely upon LoCation Service (LCS). The Lg and Lh interfaces enable LCS in the GPRS/UMTS to provide support for specialized mobile location services for operators, subscribers, and third party service providers. MS initiated Location Report Procedure is supported over Lg Interface between GMLC and MSC and Network Initiated Location Retrieval Procedure over Lh Interface between GMLC and HLR. MAP-Subscriber-Location-Report – used by a SGSN/MSC to provide the location of a target UE to a GMLC. MAP-SEND-ROUTING-INFO-FOR-LCS, used by GMLC to retrieve the routing information from HLR, required to route a location service request to the serving VMSC, SGSN, MME or 3GPP AAA server. MAPS™ MAP IP configured as HLR receiving SEND-ROUTING-INFO-FOR-LCS Service request message from GMLC to retrieve the routing information needed for routing a location service request to the servicing VMSC, SGSN, MME or 3GPP AAA server.